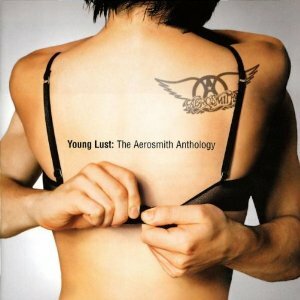 Unlike so many of their peers, Aerosmith haven’t particularly been anthologized to death. Given that their first album is about to turn forty, the amount of major compilations in their discography doesn’t seem all that out of whack with their popularity and longevity. As with the compilations entry in my Cheap Trick series, I’m going to establish a couple of ground rules for this round-up before we begin. First off, I’m sticking specifically to domestic American releases this time around, and for compilations that differ between their US and foreign releases, all of my comments apply to the American configurations. I am also omitting all “truck stop”-style titles; that is, strictly budget-ville releases generally sold at non-traditional retailers. Generally speaking, artists have no control over – or knowledge, more often than not – such releases. Got all that? Good – now, with a yo-ho-ho and a ya-ka-ka-ka-kow, off we go. Sure, its designed-for-vinyl length renders it all but antiquated at this point, but I’m personally glad that this one remains a part of the catalog. 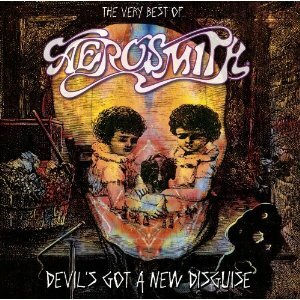 For people around my age, this was sort of a rite of passage kind of thing, the album by which early Aerosmith was first encountered. 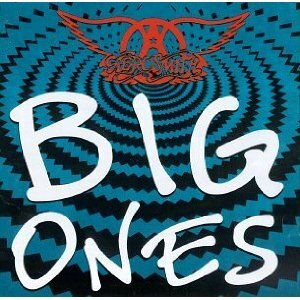 If you were forced to condense Aerosmith’s first decade into a ten-song sampler, you could hardly do better. Even the dubious inclusion of “Remember (Walking in the Sand)” kind of works here in a way it didn’t on Night in the Ruts, and I’ve never really been able to quite figure out why. 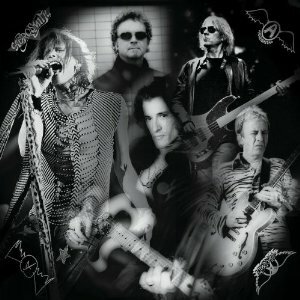 Sometimes, there is something to be said for the simple and the direct, and Aerosmith’s Greatest Hits is living proof. 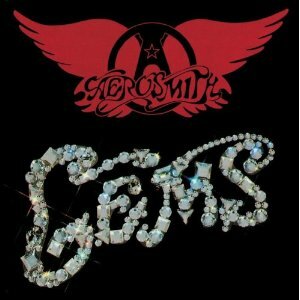 Birthed as both a deep-cuts companion to Aerosmith’s Greatest Hits and a way for Columbia Records to cash in on the band’s spectacular rebirth as Geffen recording artists, Gems is very similar to its older brother. It’s both hopelessly outmoded as a relic of the vinyl LP era, and still a great listen if you’re more concerned with kicks than completism. If I’m not mistaken, it remains the only place to digitally acquire the original studio version of “Chip Away the Stone”, a fact which in and of itself makes Gems worthy of at least a used-bin pick-up. 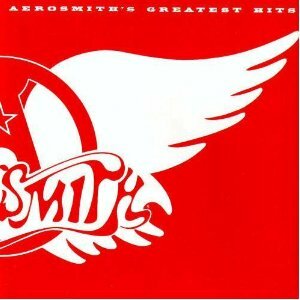 Aerosmith’s entry into the big boxed-set boom of the early ‘90s was one of the better ones, in terms of listenability and comprehensiveness. At the time of its release, Pandora’s Box was criticized in some corners for a relative lack of unreleased material, but that’s actually one of the things that makes it such an enjoyable listen. Rather than being weighted down with barrel-scrapings just for the sake of having x amount of PREVIOUSLY UNRELEASED TRACKS, Pandora’s Box instead limits the “new” stuff to material actually worth hearing, and surrounds it with an intelligent, imaginative selection of ‘70s classics. If one wanted a comprehensive collection of ‘70s Aerosmith without actually buying all of the albums, Pandora’s Box delivers just that. Which, right, is precisely what a boxed set is supposed to do. Well worth owning. 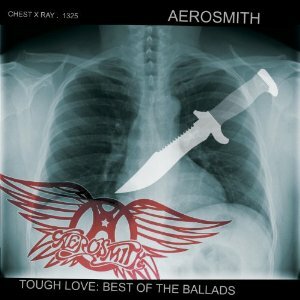 The Aerosmith’s Greatest Hits of the band’s second coming: twice as long, half as good. On the one hand, it does what it says on the label, rounding up the biggest hits of their commercial resurrection. On the other hand, well, let’s just say that “Walk on Water” > “Love in an Elevator” > “Rag Doll” isn’t exactly an opening sequence on par with “Dream On” > “Same Old Song and Dance” > “Sweet Emotion” and leave it at that. Fair is fair, though: If you’re looking for all the late ‘80s/early ‘90s smashes under one roof, you’ve come to the right place. O, Yeah collapsed into a single disc, the ‘70s now relegated to merely five songs, and with the previous compilation’s two new tracks replaced by two even newer, even lamer new ones. Utterly dispensable product, and the cover art is ugly to boot. American Idol cash-in by Universal, thoroughly skewered over a year ago in this post right here. Next week: solo albums and final thoughts. Album Review: Joey Ramone, "...Ya Know?"